Mooove over milk. We've got the 5 best dairy alternatives that are all muscle-building business. Dairy has long been held in high esteem among bodybuilders in pursuit of a cover-worthy physique. After all, milk, yogurt, cottage cheese, mozzarella, and other commonly consumed dairy items have the necessary amino acids to repair worn muscles, even if you're on a college student's budget. But delve a little deeper into the dairy aisle of larger supermarkets—past the jugs of pasteurized milk and flavored yogurts—and you'll come across types of dairy that you probably aren't eating, but should try. So consider expanding your culinary horizons with these five oft-overlooked dairy foods that should be high on any fitness fan's grocery list. Need to satisfy your salty jones? This cheese hailing from Cyprus is made with sheep and goat milk and contains roughly a 1-to-1 protein-to-fat ratio. Each ounce of halloumi delivers an impressive 6 grams of muscle-friendly protein. What's truly great about this dairy import, however, is that it doesn't melt when heated, so you can toss slabs on the grill or in a frying pan like you would a piece of steak. 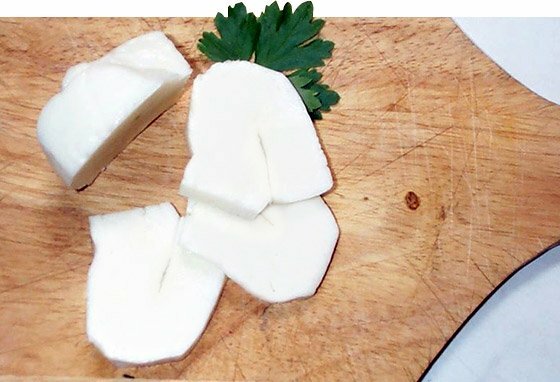 Try heating thick slices of halloumi for about two minutes per side and then seasoning with lemon juice and olive oil. Or skewer chunks of halloumi for a riff on kabobs. Halloumi can be salty on its own, so go easy on any other salted items during the meal. If you're already comfortable with yogurt, it's time to give kefir a try. Tangy kefir is made by fermenting milk with a symbiotic colony of bacteria and yeast called "grains." In fact, compared to mass-produced supermarket yogurt, kefir reigns supreme when it comes to bacterial firepower, with about three times more probiotics. Kefir acts like a food-grade fertilizer by dumping billions of bacteria into your digestive tract. Beyond their role in promoting improved digestive and immune health, probiotics are now gaining praise for helping improve body composition. Like yogurt, kefir also helps you load up on bone-building calcium and muscle-sculpting protein. 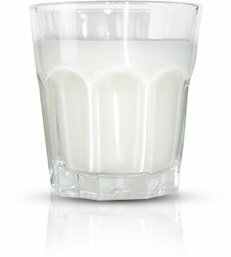 What's more, since kefir's live cultures break down a chunk of the lactose present in the cow's milk it's made from, many people with lactose intolerance can consume it without tummy woes. Kefir can be found in tubs with a consistency similar to regular yogurt, or in a thinner beverage form such as the brand Lifeway. Regardless, look for plain versions of kefir to side-step an onslaught of added gut-busting sugars. Here's more proof that Middle Eastern food is worth eating more often. 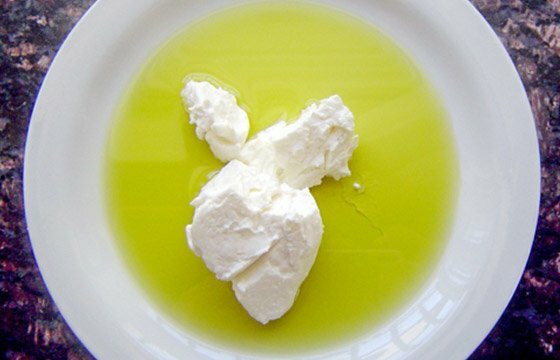 Labneh is produced by draining full-fat yogurt for several hours, where it thickens and gets deliciously tangy. As with Greek yogurt, this cultured delight is plush with high-quality protein to keep your muscles happy. Jazzed up with some fresh herbs, lemon zest, and olive oil, labneh makes for a near-perfect dip. Or give peanut butter a break and spread labneh on your morning toast. Look for labneh at Middle Eastern markets, or let Google guide you toward recipes for easy-to-prepare homemade versions. Thankfully, tangy goat milk is finally getting a chance to show its horns. When Spanish researchers compared the nutritionals of cow and goat milk from animals raised under very similar conditions, they found the latter contained more heart-healthy omega-3 fats, the bone-building trio of calcium, phosphorus and magnesium, and conjugated linoleic acid (CLA). The unsaturated fat CLA may play a role in promoting a better buff-to-blubber ratio. What's more, goat milk is less likely to tousle the tummy than its moo counterpart since it has smaller fat globules that don't clump together, as well as very low levels of the allergenic casein protein, alpha-S1. To date, goats are not permitted to be injected with sketchy synthetic bovine growth hormones commonly used in large-scale cow milk production. Really, anywhere cow's milk goes—such as protein shakes, pancakes, or a bowl of cereal—so too can the goat version. Made by warming sour milk until it coagulates and then straining it, quark is a soft, creamy cheese. It's often compared to cottage cheese, but quark has a smoother, more homogenous consistency. Originally hailing from Europe, a mere half-cup of this mild-tasting dairy can contains upward of 12 grams of protein, making it useful for helping to pack on quality lean-body mass. 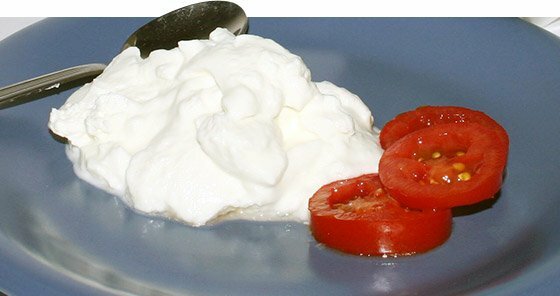 Low-fat quark has an advantage over cottage cheese in that it often doesn't contain any added salt. Many bodybuilders, in fact, lament the high salt levels present in cottage cheese. Use quark in recipes calling for yogurt, sour cream or mayonnaise. It's especially tasty when mixed with mashed potatoes. You can also stir it with fresh fruit for a muscle-making snack or dessert. 'It makes you bigger, stronger, and faster for longer.' Colostrum milk seems to offer it all, but does it really? Say you're stranded on a deserted island and can only choose two animals to live with you. Provided you want to be ripped when the rescuers arrive, you couldn't do much better than a cow and a chicken. Here's why. Whey may be the reigning king, but its parent protein still offers some unique advantages. Don't underestimate milk protein, especially in a pinch!